In the last few weeks, especially the last two weeks there has been a ton of transfer speculation who Valencia will bring in the summer. The most talked position to get strengthen is the right back position with Miguel facing possible jail time and his off field antics worrying and Bruno getting old and rarely ineffective in helping out the attack its fairly logical there to be ton of rumors. Andreas Beck and João Pereira were one of the first speculations these past two weeks, from then on it seems the rumor mill blew wide open and can't stop. 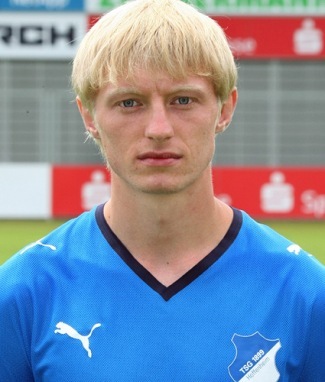 Beck plays for Hoffenheim and is considered by many as Philip Lahm replacement in the German squad. His contract ends in June 2012 and by that account only it may have a little merit for Valencia to really be following him. Joao plays for Portugal's Sporting club and has also been called to the national squad, he has started his career with Benfica through their youth system and has always been considered a very talented player. Next up is Kiko Femenía, young Hércules fullback who is reportedly followed by Valencia after some impressive performances for Hercules. He has played 25 games for Hercules, scoring 1 goal in the process, but his release clause is set very high at 10 million euros. Next up is the young right back Martin Montoya from Barcelona B team. 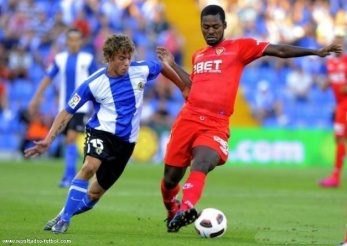 He has been impressive this season and has caught the eye of several club from Spain, reportedly including Valencia. His contract is also set to expire at the end of the season and there is a potential in that sense to get the player. One of the first rumors was the possible signing of Celta Vigo right back Hugo Mallo.He is reportedly eager to switch teams and go into a bigger club and Valencia is interested in him as he has big potential. Hugo has also been called 3 times to Spain U-19 team. Coke Andújar is a player for Rayo Vallecano, he is 23 years old, soon to be 24 and has been playing some good football, enough to catch the eyes of Valencia staff. He is also one of the cheapest players and is reportedly going to cost Valencia only 1 million euros. Bogus or not? Well its certanly not bogus that Valencia technical staff is following a lot of player and not only for the right back position. In fact Valencia technical staff are following players for the left back position, center defense position, left wing position and central midfield position as well. Whether all the players above are followed is uncertain, but what is certain is that Valencia are going to try to bring a new right back for the lowest amount of money, who is also the best option for the money. Personally I'd go for Andreas Beck from all the above, though there are some better players out there that I'll write about once the season is closer to finish.